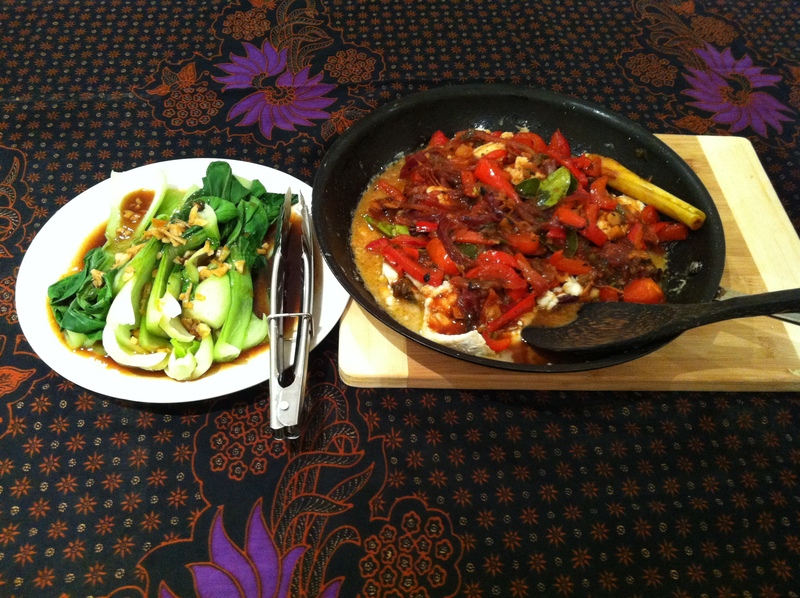 Thai-Style Sour Fish | Izzy have you eaten? Bright pink cheeks and windblown hair, you arrived home last evening from your long day at Cockatoo Island as a Biennale volunteer. Who knew crowd control could be so tricky, Miss Izzy? Silly people wandering into art works, full grown adults stomping in delicate sand designs in the floor, oh dear! I think you felt glad to be there to ‘protect’ the art! 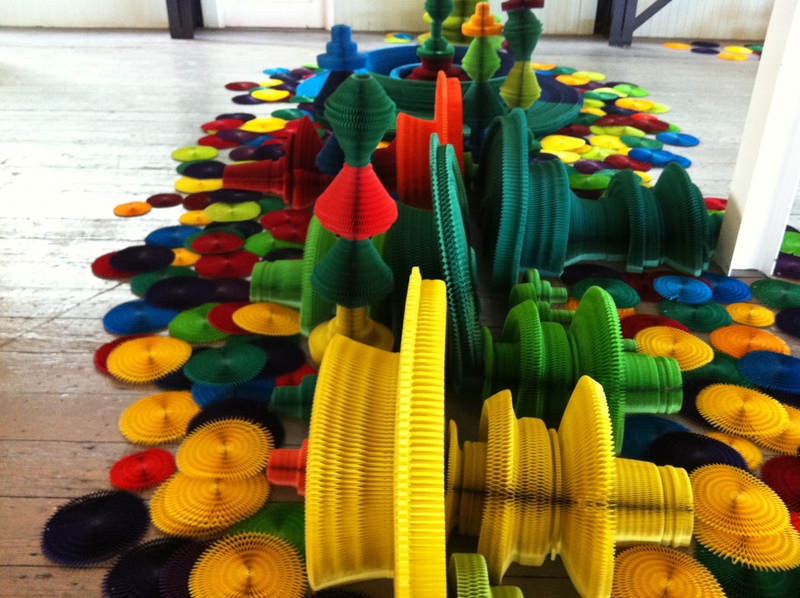 It was great hearing all about your day on the island, surrounded by so much wonderful contemporary art. What to cook for dinner tonight was a no brainer: earlier in the day Little C and I had done a big grocery shop, and had picked up some fresh Ling fillets. We needed something warm and tangy for dinner to compensate for a chilly day. Sour fish, Thai style! 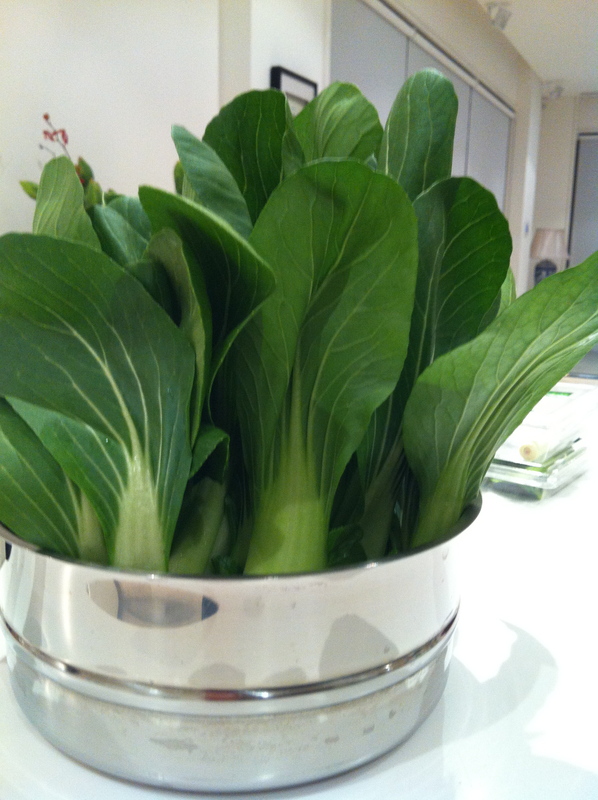 Perfect bunches of bok choy, and steamed rice as side dishes : we had a satisfying dinner. Heat the olive oil and sauté onion, ginger and garlic till golden brown. Add the sliced peppers and cook slowly until they have softened a little. Add the turmeric, and stir until the spice is nicely blended with the other ingredients. Add the chopped tomato, the chilli, soy, lemon juice,vinegar and sugar, stirring well. If the mixture is too dry, add half a cup of water. 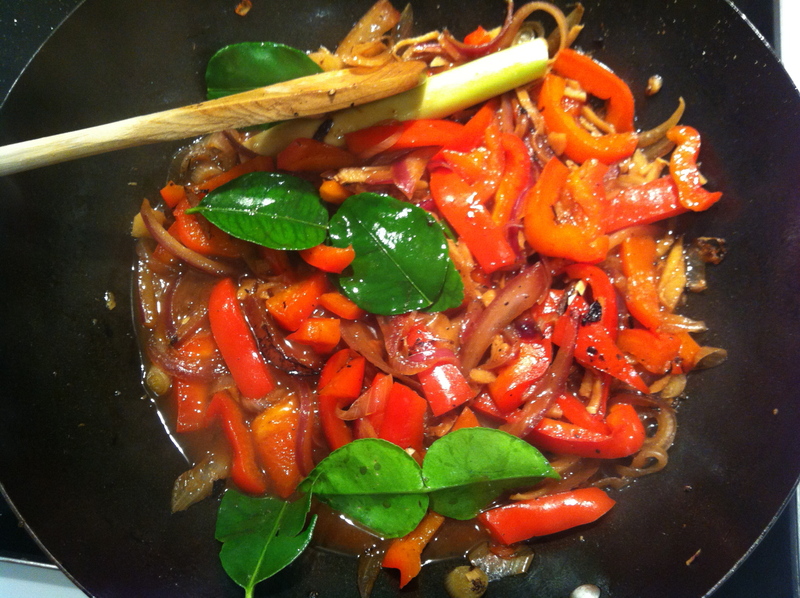 Reduce heat, and now add the aromatics: the lemongrass, and the kaffir lime leaves. Add pepper and salt to taste and leave to simmer on a low heat for about ten minutes. Meanwhile, heat a shallow frypan with a tablespoon or two of olive oil, and gently cook the fish pieces for about five minutes on either side. Arrange on a platter, pour the sour sauce over the fish, and garnish with fresh cilantro/coriander. Serve with warm rice, or over boiled noodles. You can make the sauce in advance and store in the fridge until ready to use. Keeps well for three to four days, but reheat it gently. This entry was posted in GROUP B, Uncategorized by tgb9593. Bookmark the permalink.